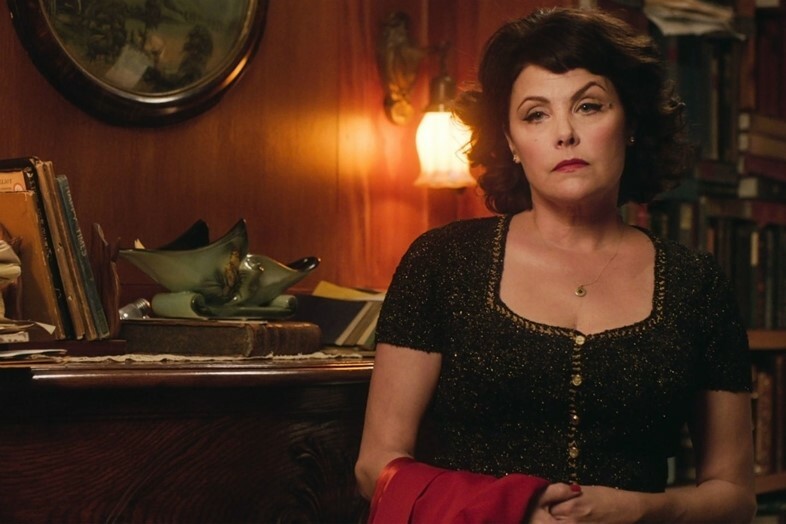 The mischievous 18-year-old, cherry-knot tying spoiled brat of Twin Peaks Audrey Horne (as played by the inimitable Sherilyn Fenn) clearly enjoyed experimenting with the power she wielded as the gorgeous daughter of the town’s richest businessman. 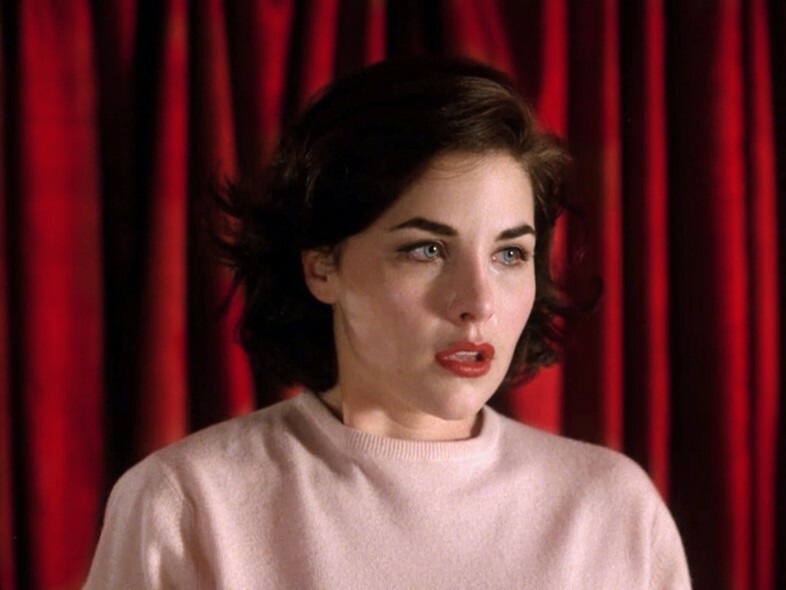 “I’m Audrey Horne, and I get what I want,” she memorably tells sleazy store manager Emory Battis – as she attempts to strangle him – in season two. What the viewer actually witnesses is very different indeed, however; neither Audrey’s glamour nor her beauty help her to achieve her aims. Instead, she is neglected by her father in favour of her doomed classmate Laura Palmer. Her attempts to seduce Agent Cooper by appearing naked in his bed are rebuffed by the FBI agent, who suggests she get dressed and they have “two malts and some fries”. A quarter of a century on, in Twin Peaks, The Return, a now older but still immaculately glamorous Audrey struggles to persuade the man in her life to do what she wants. Nonetheless, her style remains flawless throughout it all – and from Audrey’s first appearance in the pilot episode of Twin Peaks, the clothes are key. Her entrance onto our screens sees her being collected from her father’s hotel and slipping into the backseat of a chauffeur-driven estate, which takes her to school. At her locker, however, Audrey immediately swaps her saddle shoes for a pair of high-heeled pumps – red, naturally, to match her lipstick. The pale pink, tight-fitted sweater she is wearing in this scene is Fenn’s own, and it has come to be synonymous with her character. “It’s funny because I was considered a less important character, so I kept pulling my own sweaters, and got to wear what I thought were cuter sweaters,” the actress said in an interview. These fitted tops were worn with knee-length skirts – often plaid – and a rotation of saddle or jazz-style shoes. 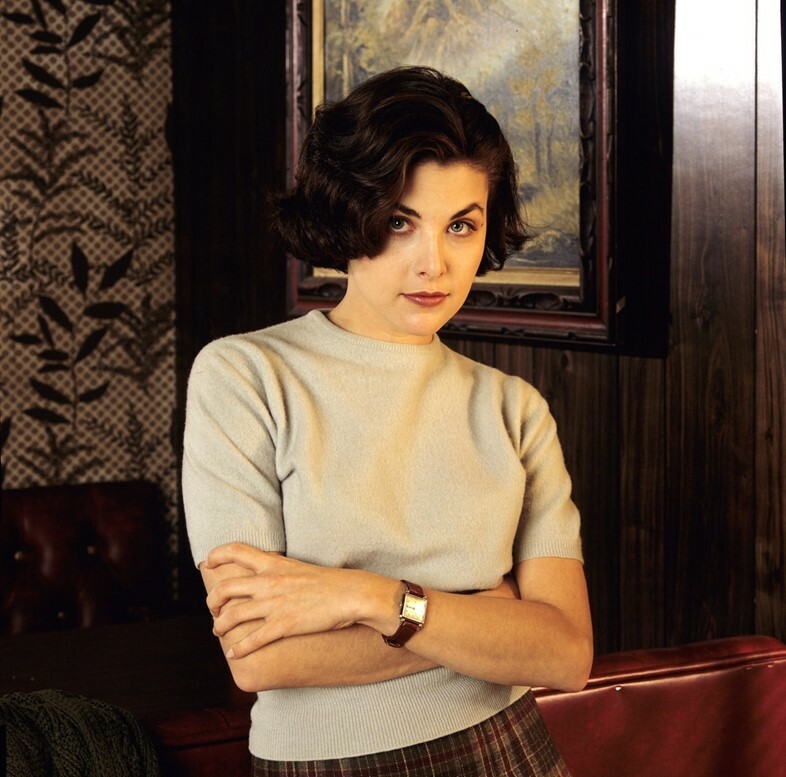 There is no need for us to imagine what a 2018-era manifestation of Audrey Horne would be like. Throughout Twin Peaks Season Three, dubbed ‘The Return’, we are reacquainted with Audrey, played by a now 52-year-old Fenn. Here, her scenes take place in what feels like total isolation from the rest of the plot; every time we are granted a fly-on the wall insight into a tense domestic situation, Audrey is trapped in a frustratingly discussion with a passive-aggressive man, who we assume is her husband, about going to local nightspot The Roadhouse. This imprisonment feels like purgatory, and her red jacket, which is at first slung nonchalantly over her forearm, becomes a signifier of the moment; her decision to pull it on properly feels unmistakeably like progress. Still, the husband doesn’t budge – until one episode he does. Audrey is, quite literally, all dressed up with nowhere to go. 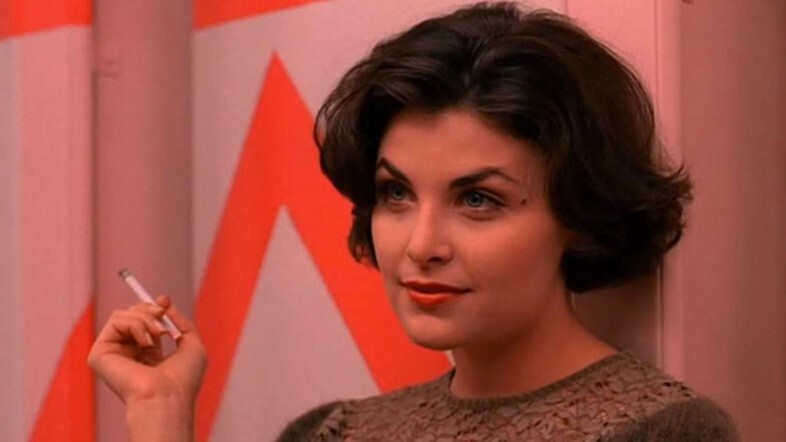 In his book Twin Peaks, The Final Dossier, Mark Frost reveals that in the years since our first visits to the town of Twin Peaks, Audrey Horne has both owned a beauty salon and married her accountant. “Witnesses close to the situation suggest that this was more of a marriage of financial convenience than affection,” writes Frost, from the perspective of FBI Agent Tammy Preston. “I’m not sure who I am, but I don’t feel like me,” Audrey tells her husband in a panicked breath during one of their exchanges. But she looks very much like you’d expect the teen in the tight sweaters and movie star make-up to look a quarter of a century later. In The Return, Audrey wears a grown-up version of her signature look: a fitted sweater in a shimmering black yarn paired with a black pleated skirt. Her hair is styled like a Hollywood starlet and her make-up still consists of red lips, arched eyebrows, a flick of liquid liner and inked-on beauty spot. As a teen, these motifs spoke of her precocious impatience to be a grown woman, but as an adult, the steadfastness with which Audrey (still living in Twin Peaks, with a short accountant, in a bitter marriage) sticks to the style of her youth takes on a new meaning. A tall, dark and handsome stranger has not fallen madly in love with her and taken her away “to a life of mystery and international intrigue,” as she dreamed in high school. Now her glamour serves to heighten the contrast between her dreams and the existence she seems trapped in. Twin Peaks, The Final Dossier is out now, published by Pan Macmillan.